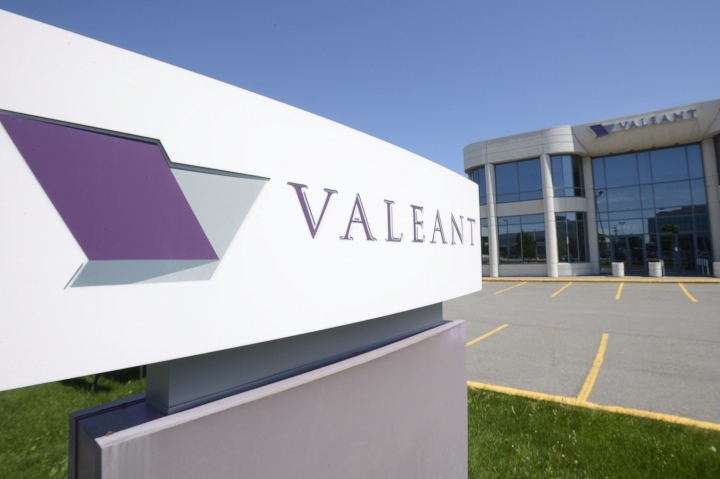 LAVAL, Quebec — Shares of Valeant Pharmaceuticals surged after the Canadian drugmaker topped Wall Street's first-quarter expectations and said it chopped its debt by another $1.3 billion, giving it more financial flexibility. The drugmaker also said Tuesday that it booked a one-time, $908 million income tax benefit from an internal restructuring in the quarter. Valeant's debt levels had swelled in recent years as it grew through a string of acquisitions. But the Laval, Quebec, company said it has reduced its total debt by $3.6 billion since the end of last year's first quarter, and it has lowered the cash requirements on its principal debt payments by more than $6 billion through 2020. Overall, the company earned $628 million in the first quarter after reporting a loss in the same period a year earlier. Earnings, adjusted for non-recurring costs, totaled $2.80 per share. Analysts expected, on average, earnings of 96 cents per share, according to Zacks Investment Research. The drugmaker posted revenue of $2.11 billion in the period, which missed the average Street forecast of $2.16 billion. Shares of Valeant Pharmaceuticals International, Inc. jumped nearly 13 percent, or $1.25, to $10.96 in pre-market trading after results were released.